While it is becoming a service solutions leader, PTC is also a leader in providing service and support to its own customers. When PTC acquired Servigistics last year, it made PTC a leader in providing service and support solutions. What some people may not realize is that PTC is also a leader in providing service and support to its own customers. In fact, almost half of their $1.4B of revenue comes from support services, with a strong 98.3% renewal rate for those services, a sign of how much PTC has invested in this area. PTC decided to work closely with its users’ support teams to understand and create a new and fresh approach to support. Since great support people are hard to come by, PTC has invested heavily in their tools and systems to augment their support personnel. I had the opportunity to learn about PTC’s service and support at a recent analyst meeting with them. 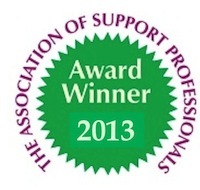 One area where they excel is their eSupport Portal, which won the Top Ten Best Web Support Sites award this year from The Association of Support Professionals. Brian Martin, a Senior Mechanical Engineer and Application Administrator at NASA Goddard Space Flight Center, spoke about their use of the eSupport portal. Brian is responsible for the deployment, support and administration of all PTC products, including Creo, Creo View, Windchill, Mathcad, and more. As a long time user (using PTC software for over 22 years) Brian was asked by PTC to provide feedback during development of the eSupport portal and said he was pleased to see many of his suggestions implemented by PTC. He talked about how he is able to easily customize the portal and put all the features and information he frequently uses within easy reach. 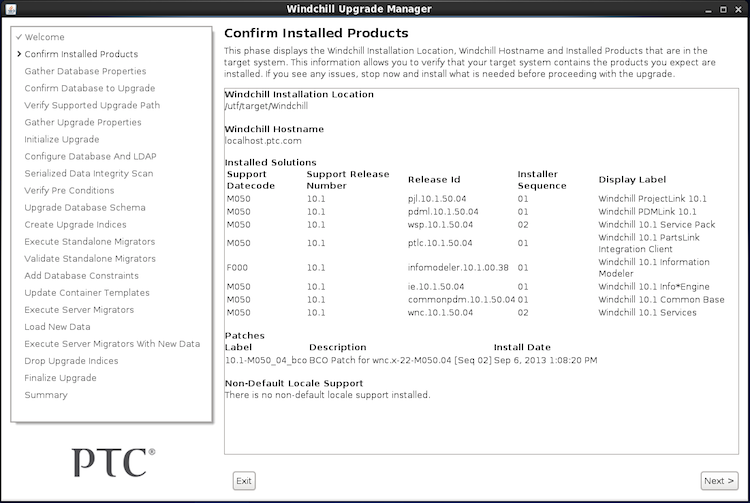 Brian uses a support ticket tracking portlet from PTC. It used to take him literally hours of searching through emails and navigating back and forth to the support site to look at the tickets. Now he does it in 10 minutes. He can see all the transactions and support tickets for all of NASA on one dashboard. Another part of Brian’s job is to provide reports about where they are spending money and where the licenses are being used. Previously, he had to track all of the licenses manually and compile them in an Excel spreadsheet and then calculate costs. The new portal has a license management tool where he automatically sees license usage and with the click of a button generates an Excel spreadsheet. Brian said that feature alone saves him about 8 hours a month. He estimates that in total the portal saves him about 12 hours a month, or almost 150 hours per year. He said the process goes so much faster, it has allowed him to spend more testing and rehearsing complex installations to get all of the kinks out before they go live. This way the actual migration to production goes much more smoothly with very few issues. This saves time not only for the administrator, but the precious time of all the engineers that depend on those tools day in and day out. Stan talked about another administrative tool he uses, PTC’s System Configuration Collector. In the past, when there was an issue needing resolution, it was usually necessary to search for, collect, and send various configuration files or properties files to the PTC support engineer who was helping resolve the issue. That process could take hours. The System Configuration Collector lets the user indicate what information is needed and it automatically gathers those files then emails them to PTC. This saves time and speeds up the resolution of issues. PTC has a vibrant developer community site. In that, PTC customers often discuss new ideas on how to enhance the various PTC products. So, PTC has created a new product ideas tool within the PTC online community, which enables participants to explicitly make suggestions and allows the community to vote on them and rank them. PTC’s R&D personnel can also participate in those dialogs. Users have ongoing visibility about the status of each suggestion; not only how each one has been ranked by the community of users, but also whether it is on PTC’s roadmap, being considering for the roadmap, not looked at yet, or has been rejected. PTC is also integrating support tools right into the product. 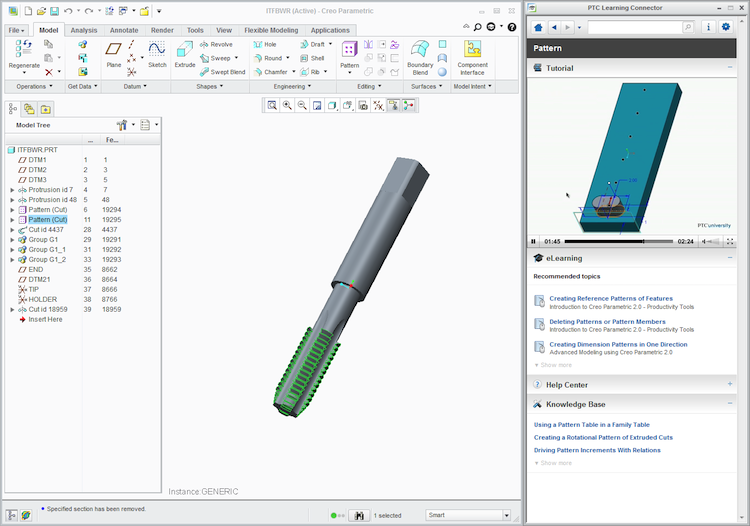 They have a context-sensitive tool, the ‘Learning Connector.’ While an engineer or other user is performing various tasks within Creo or Windchill or other PTC products, the Learning Connector retrieves and displays relevant Knowledgebase articles, training/e-Learning, and help center information, alongside the main work screen. This is based on the task the user is currently doing. It dynamically updates the information shown to match each task being executed. This window can be turned on and off, of course. If the user has administrative privileges, they can also log a support request right there from within the application, making it much easier to describe and document what they are doing. PTC’s user base of engineers, designers, and product managers is highly demanding of the product. Deep functionality is a must. But they also don’t want to spend a big chunk of their time chasing down support issues, resolving system/tools problems, and dealing with upgrade issues. By providing the tools and services to make this part of their life quicker and easier, PTC wins more fans. One sign of the value of these self-service support tools is the fact that their use by PTC customers has nearly tripled in the last year and a half. While striving to become a service and support solutions leader, PTC is also ‘walking the talk’ with the service and support it delivers to its own customers.